Oxymoronic jokes about Florida mountain biking are as tedious to Floridians as "Deliverance" jokes are to Georgians. Nonetheless, it's worth noting–not in jest, but wonder–the challenge of crafting an IMBA Epic in a state that counts a 345-foot pimple of sand as its highest summit. To appreciate just how flat Florida is, consider this über-intellectual equivalent of a 'Yo Mama' joke: In 2003, a group of scientists compared the topography of an IHOP flapjack to that of a famously flat state, Kansas, concluding that the Sunflower State is, in empirical fact, flatter than a pancake. Some years later, another group of scientists found that Kansas is only our sixth least mountainous state. Florida is king of the molehill–the flattest of the flat. 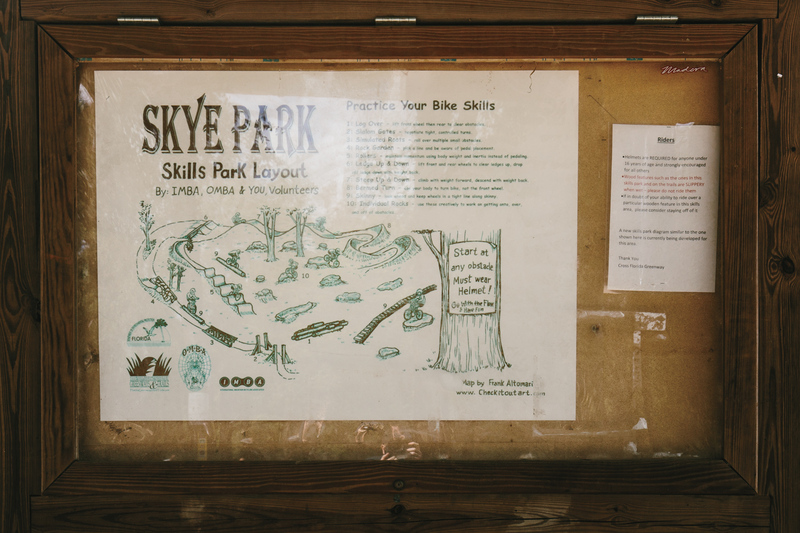 So it is with considerable shock that you may find yourself pinning your hips to your handlebars, spinning out and pushing your bike the rest of the way up a surprisingly steep pitch of the Vortex trail in Ocala. Or launching off a line of solid dirt jumps with the rhythm and flow of something you'd expect out west. Or solving a rock problem tricky enough to make a trials god who rides for the circus dab. 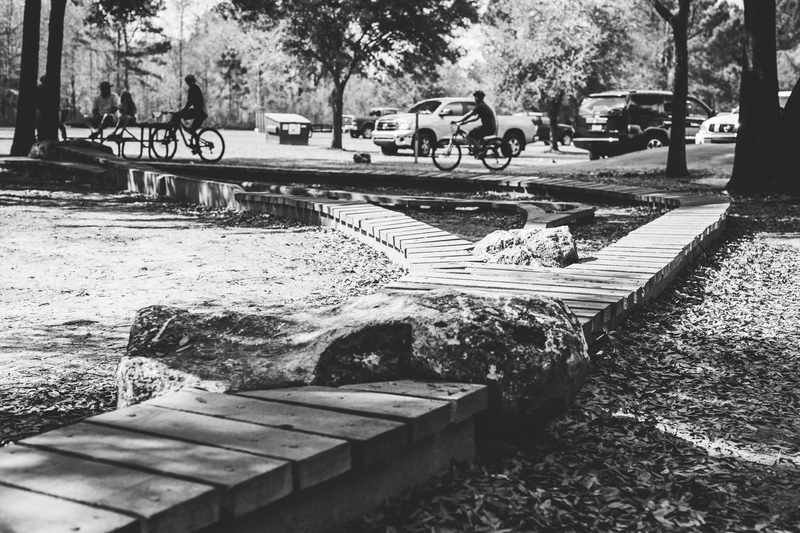 "We try to get every inch out of our elevation," says Jared Harman, president of the Ocala Mountain Bike Association (OMBA), which maintains the state's largest trail network, Santos. All 150 vertical feet of it. An hour-and-change northwest of Orlando, Santos is the epicenter and Epcot Center of Florida trails. More than 85 miles of singletrack webs and flows through parts of the Marjorie Harris Carr Cross Florida Greenway, a 110-mile corridor of green space that stretches from the Gulf of Mexico to the St. Johns River. "If you combine gravel roads, you could ride 100 miles at Santos and never ride the same thing twice," says Rob Ern, vice president of OMBA. Many of these trails are punctuated and elevated–literally and figuratively–with wooden features that look like they belong in a theme park: rollers, berms, whale tails, jump lines and a roller-coaster spectacle called 'The Corkscrew,' which looks pretty much like it sounds. "We don't have mountains," Ern says, "but we have some pretty fun stuff to ride." That this exists in a state where dirt berms melt like sandcastles in summer storms is a testament to the power of imagination and architectural ingenuity. How fitting, for a state that launched the first American into space and created a San Francisco-sized theme park that gets more annual visitors than twice the population of the United Kingdom. Michelangelo's medium of choice was marble, but if pressed, he was not too shabby with paint. So it is with Ray Petro, architect of the Sistine Chapel of indoor bike parks–Ray's MTB. He's known for his plywood masterworks–pumptracks that ride NASCAR-fast, furiously punchy indoor jump lines, skinnies, teeter-totters and whimsical wooden features that wring every inch of possible fun out of the warehouses he builds into winter playgrounds. Turns out he's pretty crafty with dirt, too. As some are born with an ear for music, Petro has an eye for possibility. He can look at a landscape and see, in the negative space, the future. He knows the radius of a perfect berm, the amplitude and frequency of a jump line with effortless air. He spends his summers hammering away in Cleveland, Ohio, and Milwaukee, Wisconsin, rebuilding his parks when they close for the summer. 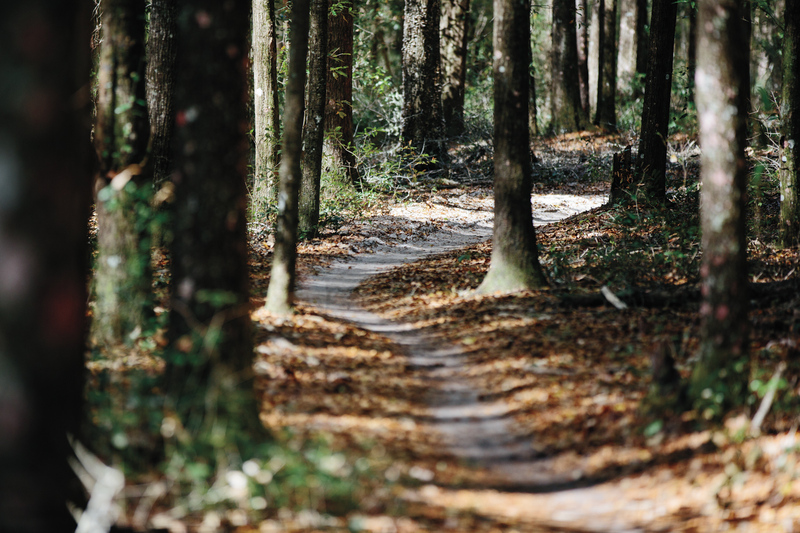 But he winters in Ocala, where the trails have benefited mightily from a man who can't sit still–a man who once said, upon remodeling the local house he bought, "Let's go remodel the forest!" This forest presented challenges. Sandy soil that doesn't hold its shape. Daily afternoon thunderstorms that seem to eat the dirt. Flatness. But Santos also had a few unusual assets. The Vortex trail runs through a former lime-rock quarry, excavated for the material that goes under the tar of Florida's highways. This dug-out hole in the earth created artificial elevation and some of the pitches are shockingly steep, if short. The rockiness of it makes for fairly technical riding. It turns out that the secret ingredient to Santos' trails is Petro's medium of choice: wood. "It's consistent, it will hold its shape and it will last for at least 20 years," he says. That and Portland concrete, which he uses to reinforce the landings between dirt jumps with wooden lips, adapted for lower maintenance. Petro first tested the Portland cement on one stretch of flowy downhill that was previously fraught with wheel-sucking sand. "It went from being sugar-sand and dangerous to being one of the fastest pieces of trail," he says. "It got nicknamed Viagra Hill because it's artificially hard." 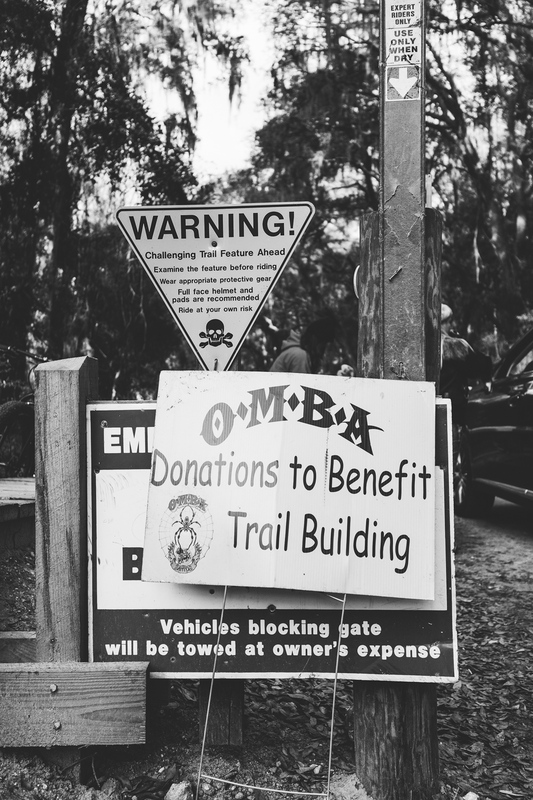 In OMBA, Petro found a sponsor and partner that recognizes, and subsidizes, his trail-building work, to the tune of about $34,000 over the last three years. It's a pretty sweet arrangement: He works for free and OMBA supplies the wood, tools and, most importantly, the freedom to let his imagination ride. "I want this to be known as the Whistler of the South," Ray says. Though some 35,000 vehicles pass through the two Santos trailheads every year, you'll be hard-pressed to find a crowd here in the summer, when temperatures soar above the 90s and the air feels like soup. But if you ride in the morning (be prepared to eat webs; it's no coincidence that the OMBA mascot is a spider) you can spend the afternoon soaking in the 70-degree freshwater springs that well up about 20 minutes from the trailhead. Crystal Springs, a 100-year-old Florida attraction, is a tourist trap worth visiting. It's also one of the freshwater springs that were saved when the federal government scrapped its plan to build a barge canal across the phallus of the state. That abandoned corridor is now the Cross-Florida Greenway, where Santos lies. Though it's a year-round riding destination, two of the region's best events happen come spring. 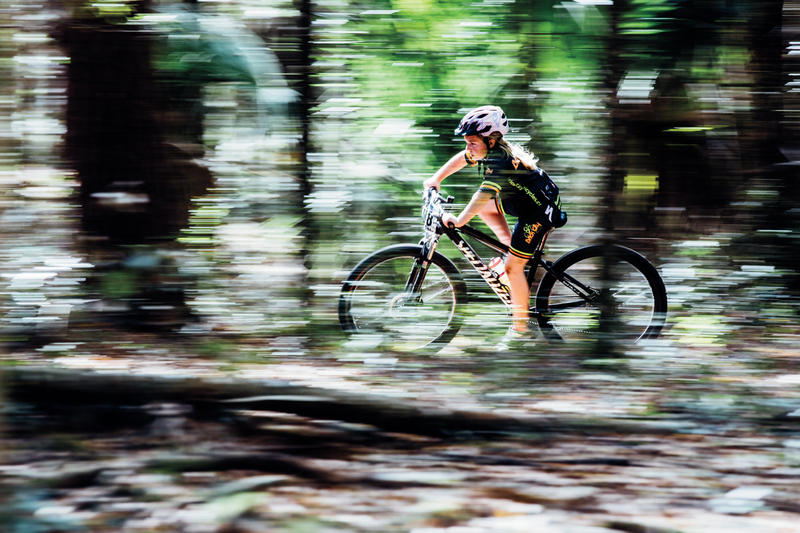 In February, the 12 Hours of Santos race draws around 500 riders from all over the country for an endurance event that feels like the love-child of a block party and a campout. The course avoids some of the most sketchy features and favors trails with more flow. Right around spring break, March brings the Fat Tire Festival, a three-day bikefest that celebrated its 10th anniversary this year. A public expo draws around 3,000 visitors to the industry vendors and food trucks that set up in the main public section of the park. But only those who score a hard-to-get ticket can stay in the campground and join the special events: a 50-mile supported ride, a dirt jump and freeride demo, local bands, catered meals and movies after dark. Tickets go on sale November 1 for next year's fest (March 10-12, 2017). "It sells out in about 18 hours," Ern says. Any time of year, though, this is a great destination for family trips. If your family doesn't ride, send them to Silver Springs, or to Disney World, just an hour-and-a-half southeast. If you join them, make sure to see trials phenom Lance Trappe, a former Volvo- Cannondale rider, in Cirque du Soleil's "La Nouba" show. If your family rides, Santos is built with progression in mind (See: Papa Bear, Mama Bear and Baby Bear jumps). 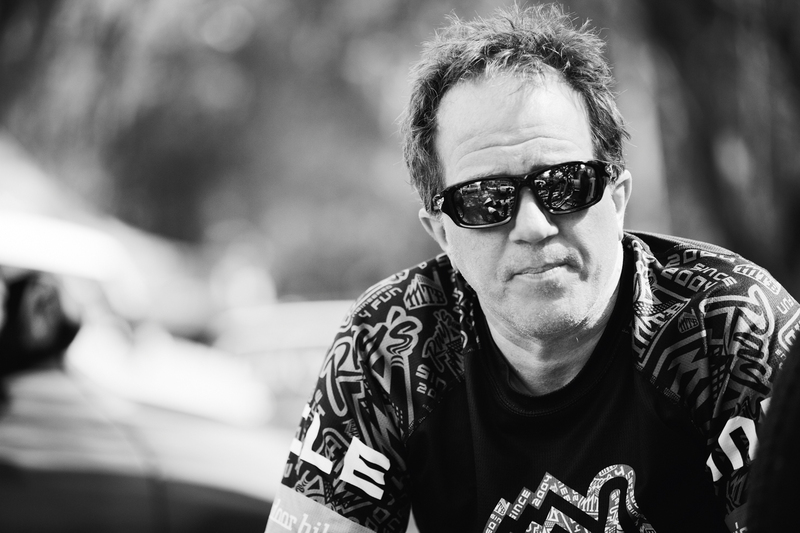 "I build things that 80 percent of the people can ride," Ray says. And things a middle-aged dude can ride well into retirement. "My long-term plan is to end up in Florida," he says. "I'm getting to build my own little retirement spot that thousands of other people get to enjoy too." CAMP | Most visitors stay at the campground, which has reasonable fees, bathhouses and power. It's hard to get a developed site in the spring or fall without a reservation six months in advance (reserveamerica.com). EAT | Mojo's Grill for Cajun food, craft beer, chicken wings, etouffe, gumbo and jambalaya (mojogrillandcatering.com); Infinite Ale Works for 40 on-tap local craft beers (infinitealeworks.com); Pi on Broadway for pizza, tapas and 10 rotating taps of "the best and rarest draft beer we can source" (pionbroadway.com). NEARBY | Silver Springs State Park (silversprings.com) stays open 8 a.m. until sunset, 365 days a year. You can rent bikes and stand-up paddleboards at Brick City Bicycles (brickcitybicycles.com) in nearby Ocala, owned by OMBA president Rob Ern. For Cirque du Soleil and Disney info, see disneyworld.disney.go.com.